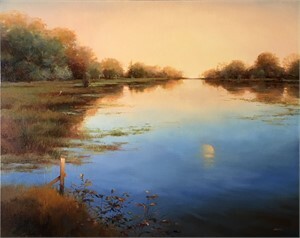 Arnold Desmarais was born into a New England family of artists in 1952. As a young child, he was formally introduced to art at the Rhode Island School of Design where he flourished as a prodigy. Later as a young man, he continued with painting and illustration while simultaneously earning his degrees from Bryant University. Arnold’s career afforded him the opportunity to combine his love of art with his business skills in the fashion industry. This world not only gave him a platform to create for such prestigious clients as Anne Klein, Liz Claiborne, Bill Blass, Donna Karen and more but also the opportunity to travel the museums of the world to experience first-hand the work of the great masters. Among his clients for design are the Metropolitan Museum of Art in New York and the Louvre of Paris. 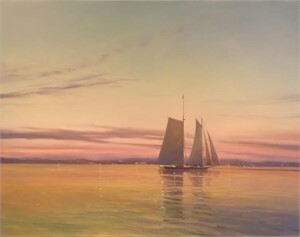 It is in 1990 that Arnold sold his successful commercial business to devote his life to his love of fine art painting and although he is considered self-taught he attributes his personal growth to the workshops he has taken with the artists he most admires; Joseph McGurl, Donald Demers, Jim Wilcox and others. His love of the sea and antique boats comes from a life time spent by the sea. Born on an island, and spending a large portion of his life living in coastal New England afforded him the opportunity hone his skills and created an understanding of coastal scenes and the honoring the vessels of by gone errors. 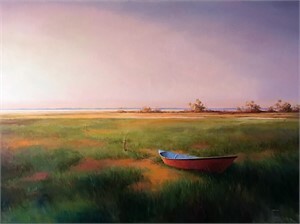 He taught at the Cape Cod Artist Association as well as the Cape Museum of Art and sponsored many Plein-Air trips to Europe. Many of Arnold’s works have been exhibited in museums and national shows. 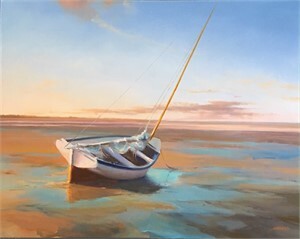 Arnold now travels the Eastern Seaboard from his home in Florida to Maine painting the coastal imagery that defines his art. Arnold Desmarais was born into a New England family of artists in 1952. As a young child, he was formally introduced to art at the Rhode Island School of Design where he flourished as a prodigy. Later as a young man, he continued with painting and illustration while simultaneously earning his degrees from Bryant University. Arnold’s career afforded him the opportunity to combine his love of art with his business skills in the fashion industry. This world not only gave him a platform to create for such prestigious clients as Anne Klein, Liz Claiborne, Bill Blass, Donna Karen and more but also the opportunity to travel the museums of the world to experience first-hand the work of the great masters. Among his clients for design are the Metropolitan Museum of Art in New York and the Louvre of Paris. 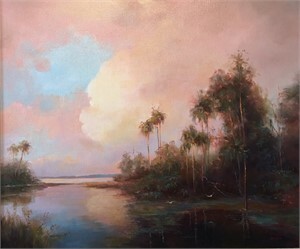 It is in 1990 that Arnold sold his successful commercial business to devote his life to his love of fine art painting and although he is considered self-taught he attributes his personal growth to the workshops he has taken with the artists he most admires; Joseph McGurl, Donald Demers, Jim Wilcox and others. 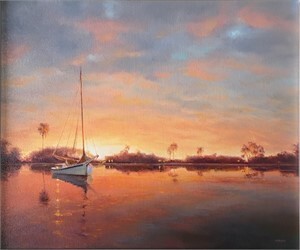 His love of the sea and antique boats comes from a life time spent by the sea. Born on an island, and spending a large portion of his life living in coastal New England afforded him the opportunity hone his skills and created an understanding of coastal scenes and the honoring the vessels of by gone errors. He taught at the Cape Cod Artist Association as well as the Cape Museum of Art and sponsored many Plein-Air trips to Europe. Many of Arnold’s works have been exhibited in museums and national shows. 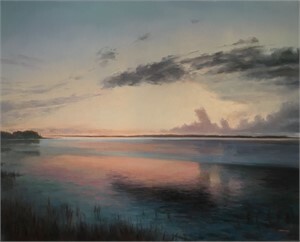 Arnold now travels the Eastern Seaboard from his home in Florida to Maine painting the coastal imagery that defines his art.